I remember hearing this song way back as a young whippersnapper (I would have been 9 when this was released) and it really stuck with me – it’s a catchy tune with a nice positive message. Anyway, enough rambling, let’s get on with the song. For this arrangement, firstly it’s a low G arrangement which I’m playing on my Outdoor Tenor. 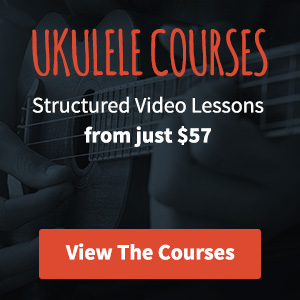 If you do want to play it on a high G ukulele, there are only a handful of notes that won’t quite sound right, I wouldn’t let it put you off. Second thing to say is that I’ve transposed it to the key of C which I think works really well on this song, it means you won’t be able to play it over the record but that’s not really the aim of a chord melody arrangement. Here I am playing through the arrangement. I should point out that I don’t stick to it exactly, I played with the timings and went by feel. 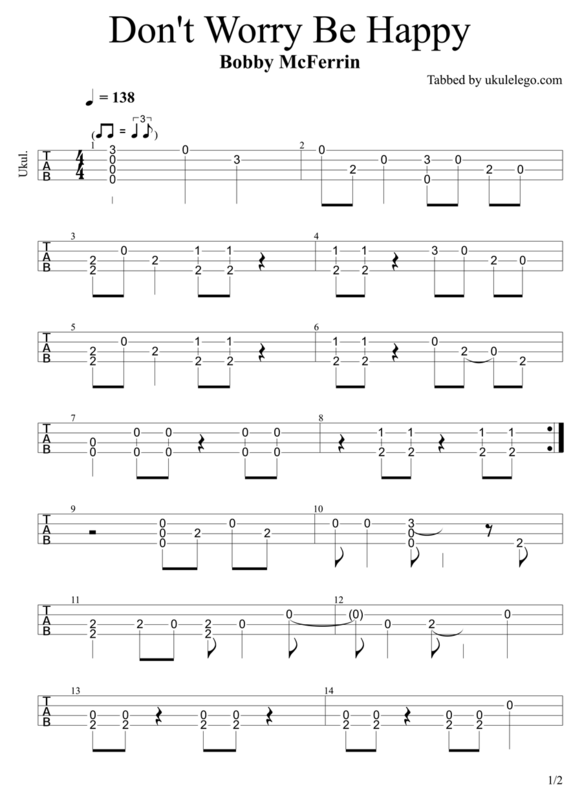 Here’s the tab, no crazy chords, no difficult fingerings. In fact we don’t even venture past the third fret at any point. If you want to grab the printable PDF of this tab, click the button at the bottom of the page. In terms of playing this one, I don’t use any specific way to pick the notes. I’m mostly picking with a combination of my thumb, index finger and second finger. I let my thumb pick up the G and C strings with my index and second picking up the E and A strings. The strums that I’m occasionally throwing in are all done with my thumb. I tend to lean on my thumb quite a lot on arrangements with sporadic strums in them. If you do have a blast at this arrangement, let me know – I’d love to see your videos and hear your audio files.